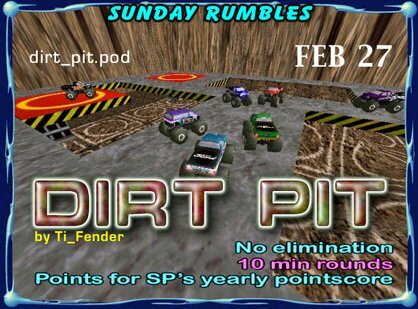 Sunday night's rumble track was "Dirt Pit" by Ti_Fender. When: Sunday nights 8pm Est / 20:00. We had 11 rumblers signed up. We don't want a thing because we have found a reason for it - we find a reason for it because we want it.